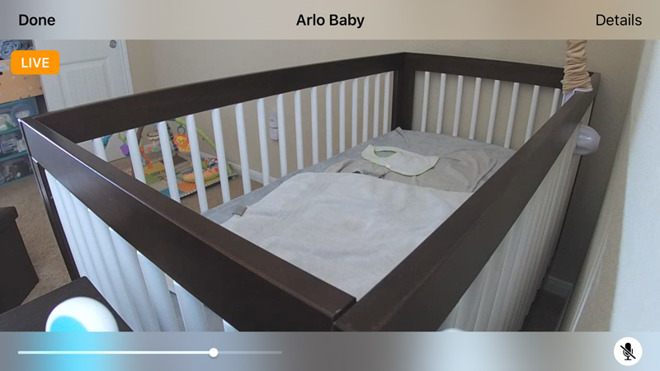 Like most iPhone-connected security cameras, the Arlo Baby offers 1080p streaming video, night vision, intercom functions, and motion and sound alerts. You can schedule alerts so that they only go off when it's relevant — say, only when the baby is in his/her crib and the parents are off to bed. 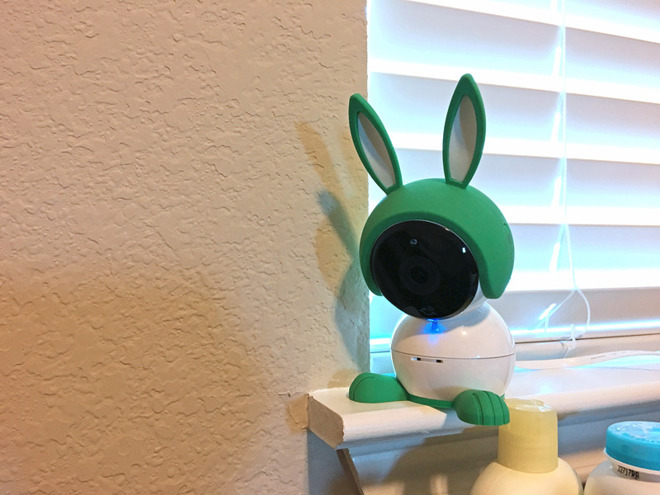 Several features allow the camera to work as a baby monitor. First and foremost, the Arlo app (optionally) supports background audio — meaning you can do other things with your phone and still race over in an emergency. Even without that, the camera can send out unique alerts when a baby is crying. 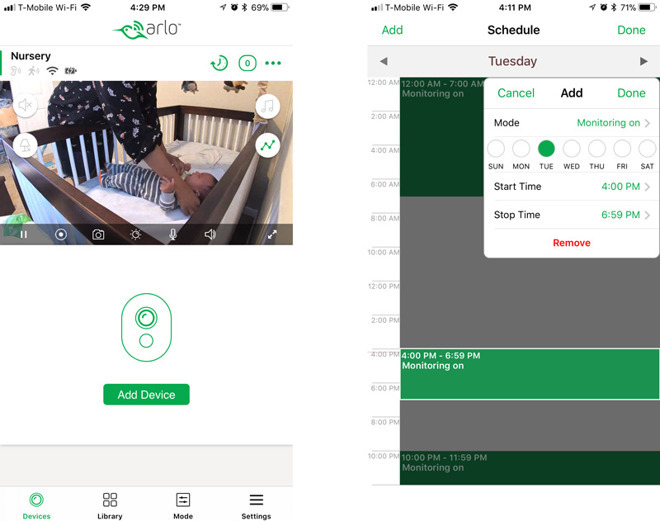 In fact, the vast majority of what makes the Arlo Baby special requires the Arlo app — in HomeKit you can watch a feed, and use intercom functions, but that's it.